Open the FVD Speed Dial Settings menu. 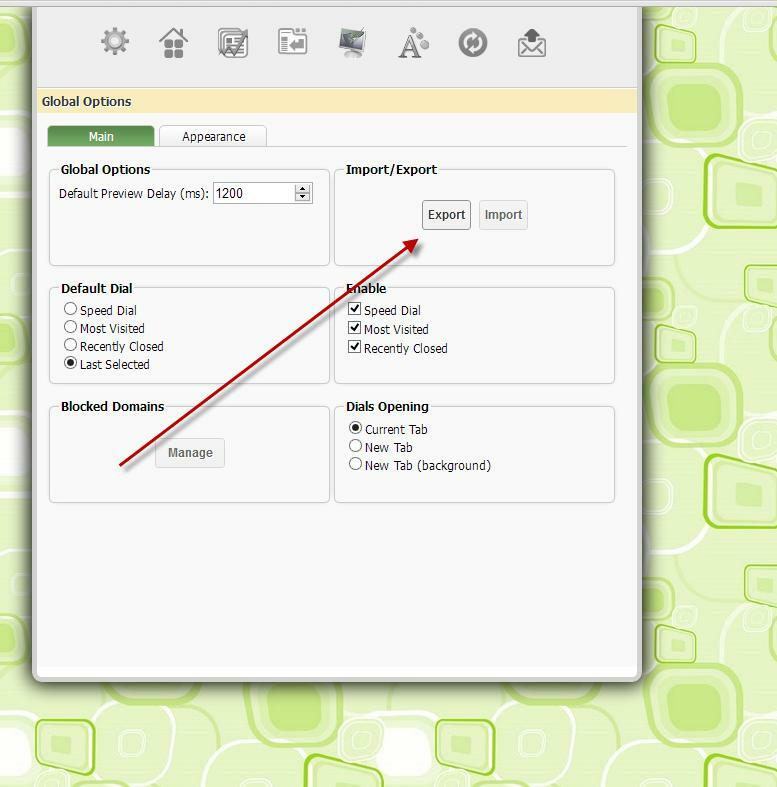 Go to the Main tab and find the Import and Export buttons. If you want to save a backup copy of your dial, click Export. It’s a bit more difficult – though not impossible – to do it in the Chrome web browser. 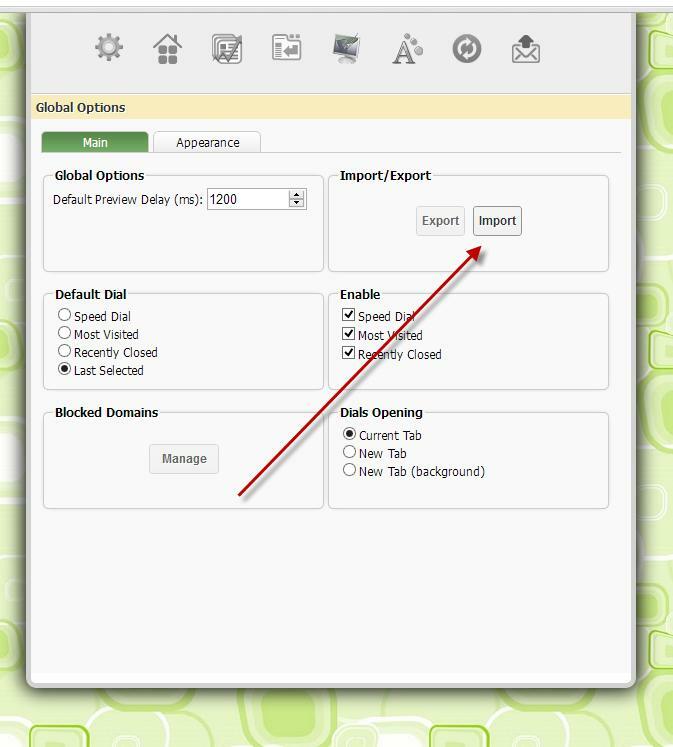 First, create a new text file and click Export in FVD Speed Dial. 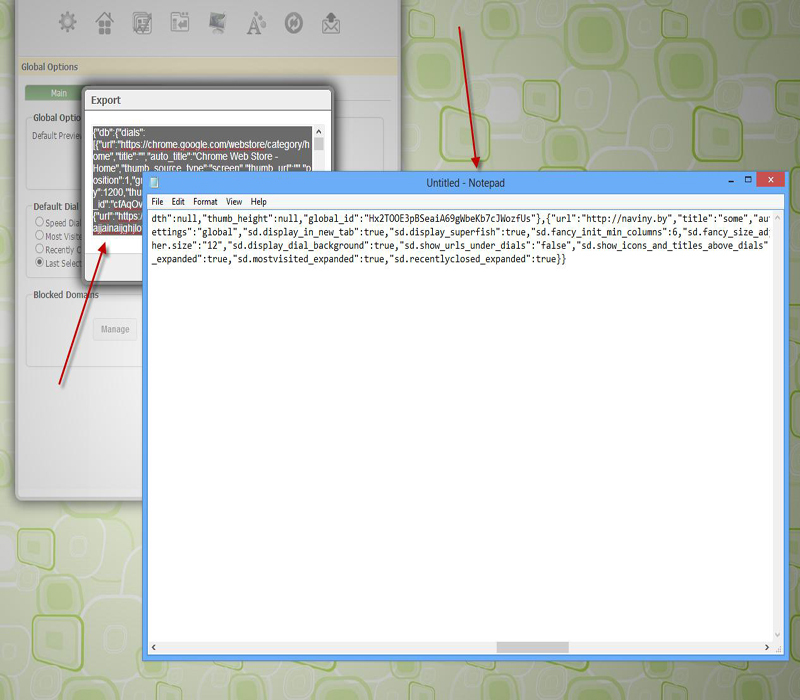 Copy the code from the window, paste it into the text file and save it on your hard drive. If you are using Chrome, open the text file containing your backup code and copy the code. 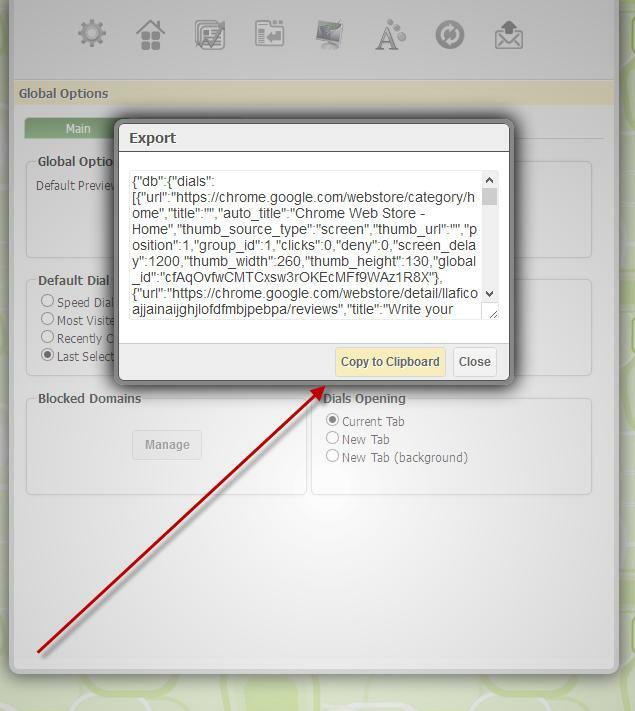 Then click Import and paste the code into the form. Click Import once again.